Oh to look at Joseph now...he's walkin' the dog...just two weeks ago he was walking the tops of the furniture. 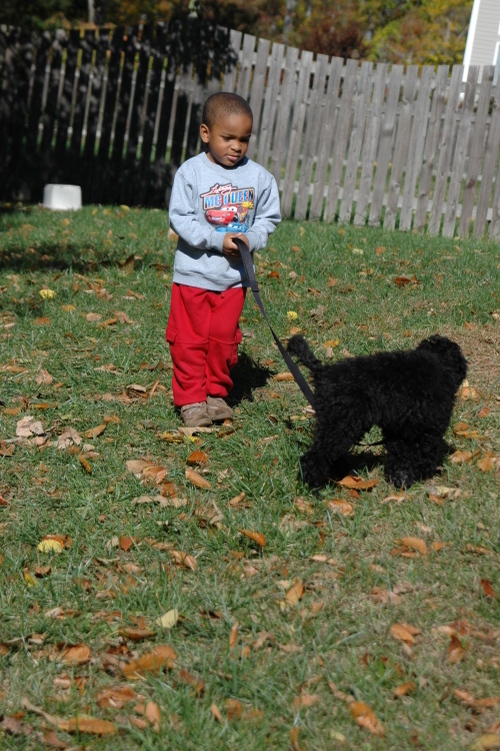 I let him walk Sierra whenever he wants to, because soon she'll be about 50lbs and walkin' him! I'm not sure what the turning point was for Joseph but I'm glad he's much more comfortable with the dog since he spends the most time with her. It just cracks me up to see him walk by her now and stop and pet her. Can you make her out...I don't have adecent photo of her, but I'll work on it. 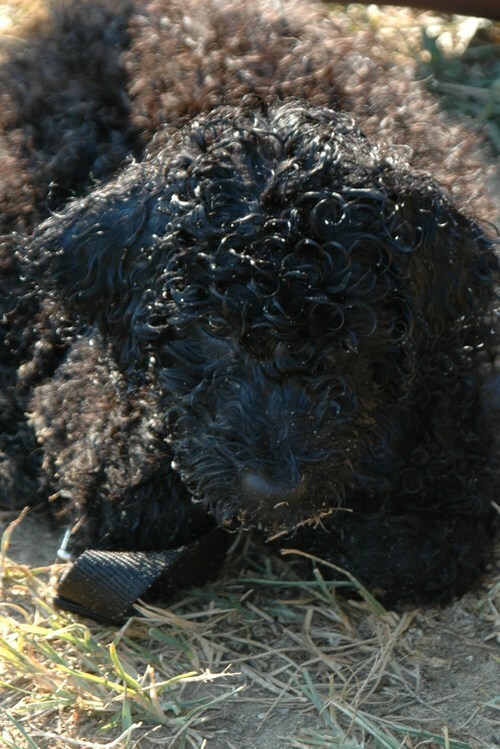 She's a Portuguese Water Dog...an absolutely beautiful animal.